Global radiation means the entirety of direct solar radiation and diffuse radiation from the sky. The spatial distribution of radiation is determined by two factors: the geographical latitude and the quantity of clouds. In the below figure, on the map of Hungary, the areas with the highest radiation are marked with lemon yellow, but due to the small difference in latitude within the country, the quantity of clouds is the decisive factor of radiation. 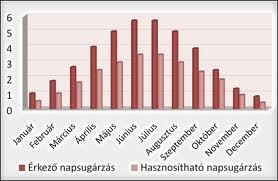 The number of sunny hours in Hungary is about 1,800 to 2,000 in average. In winter, the higher mountains enjoy one and a half times more sunny hours than the lowlands since there are inversion places where the higher mountains are rising from the fog sitting on low-lying areas and so have a share in undisturbed sunshine. On the other hand, in summer the number of sunny hours in the mountains is less by about 10 % due to the clouded and rainy weather of the mountains as compared to the low-lying plain areas. The photovoltaic-based solar cells development is one of the most intensive technical fields. It is used for architectural purposes which are developing rapidly. The solar cell is a semiconductor device that converts solar energy into electrical energy. 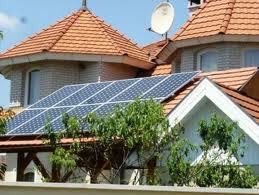 The solar panels can be installed on roof or frontage. It is ingenious solution to the frontage, above the windows to shade. 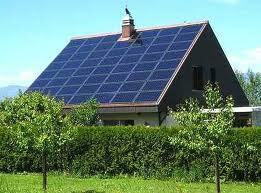 The price of solar panels constantly decreases for domestic use while its efficiency increases. On spaces without utilities (such as ranch, lodge, hunting lodge) is obvious to use, by the way it would be a useful additional power source anywhere. The grid-connected system supplies demands with solar energy via solar panels as long as possible. If the demand is greater than the power of current solar system, it will be supplied from electricity network. If the produced energy is more than the current need, the excess energy feedback can be possible to the electric grid. Main components: solar panels, inverter, "give-buy" electronic meter. 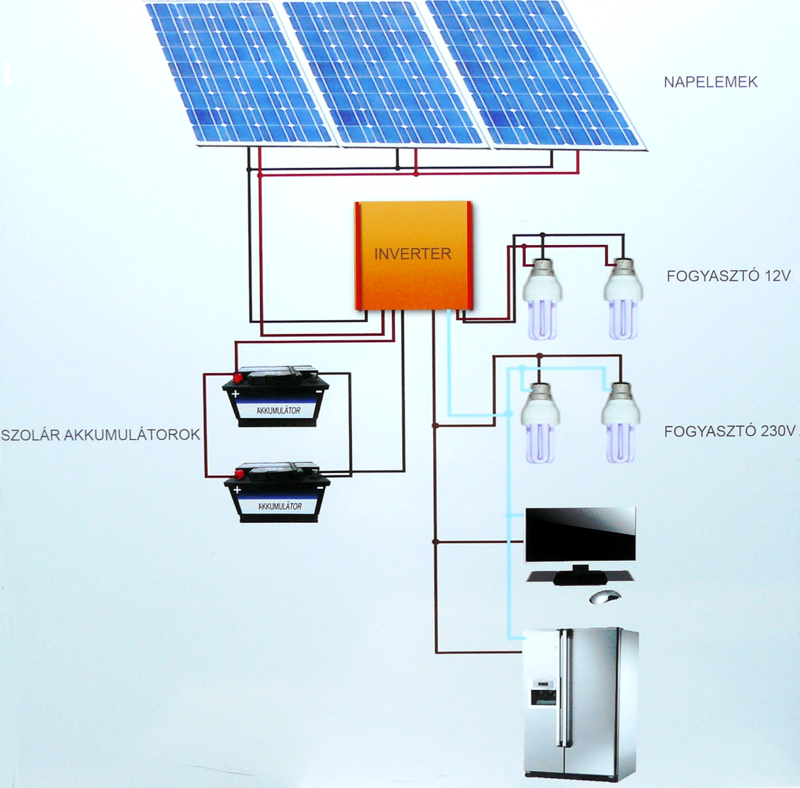 The inverter charges the battery from solar cells in case of off-grid systems. The energy is stored in the battery. It can be used immediately or later. The usable energy is defined by storage capacity. Main components: solar panels, inverter, batteries.